LARGO, Md., September 19, 2018 – Strativia is excited to announce that we have received a $75M contract award from the National Institute of Standards and Technology (NIST) to provide Scientific, Technical, and Engineering Support Services (STESS). Through the STESS program, Strativia will provide more than one hundred (100) personnel who support the NIST community by conducting scientific services in diverse laboratory, academic, and standards development environments. NIST is uniquely charged with maintaining national standards and forging new measurement and standards frontiers. It serves as both as a leader and as a trusted partner and advisor to standards and measurement organizations on a national and international level. NIST's reputation for scientific excellence and institutional integrity demands that all contractors contribute to their storied history of exceptional performance. Strativia considers itself graced and honored to be selected to support this legacy. Strativia personnel will support NIST's: Physics, Engineering, Materials, Information Technology, and Communication Technology Laboratories; Centers for Nanoscale Science and Technology and Neutron Research; and various cooperative programs. Select services will include biometric algorithm development; critical infrastructure; smart grid framework support; 3D Printing services; Health IT; environmental science; weights, metrics, and calibration; data and statistical modeling; and a number of other scientific and engineering services. For this project, Strativia is proud to partner with Dakota Consulting, Inc. who has supported NIST since 2004. Strativia endeavors to match Dakota's record of outstanding stewardship of the STESS program, which began under the leadership of Dakota's founder Lori Renner. Ms. Renner's personal integrity and commitment to client accountability remains imprinted on Dakota's corporate philosophy as well as the exacting approach to STESS program execution still witnessed today. Strativia further wishes to recognize Lokesh Sayal, Vice President of Dakota, whose commitment, vision and partnership has been critical to STESS for the past seven (7) years; Ms. Manisha Kapur, whose leadership of the STESS program Strativia has been so fortunate to secure; and Mr. Adam Hurlburt who returns to his former role as STESS Contracts Manager. 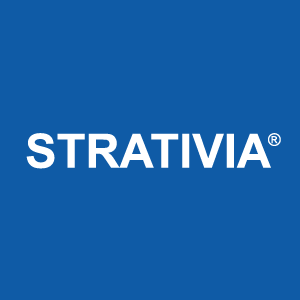 This award is Strativia's largest contract to date! It positions Strativia to pursue larger efforts in both the Scientific Technical and Engineering verticals in the years to come. Strativia delivers technical and professional services to both government (federal, state & local) and commercial organizations worldwide. Our core services include Web & Application Development, Big Data & Analytics, Cloud & Infrastructure, Cybersecurity, Program & Administrative Management, Management Consulting, Logistics and Operations, Integrated Facilities Management, and Staff Support.